Flavius Petrus Sabbatius Iustinianus Augustus - traditionally known as Justinian the Great - was Byzantine emperor from 527 to 565. His reign was marked by the ambitious but only partly realized renovatio imperii, or "restoration of the Empire". A still more resonant aspect of his legacy was the uniform rewriting of Roman law, the Corpus Juris Civilis, which is still the basis of civil law in many modern states. His reign also marked a blossoming of Byzantine culture, and his building program yielded such masterpieces as the church of Hagia Sophia. However, a devastating outbreak of bubonic plague in the early 540s marked the end of an age of splendour. 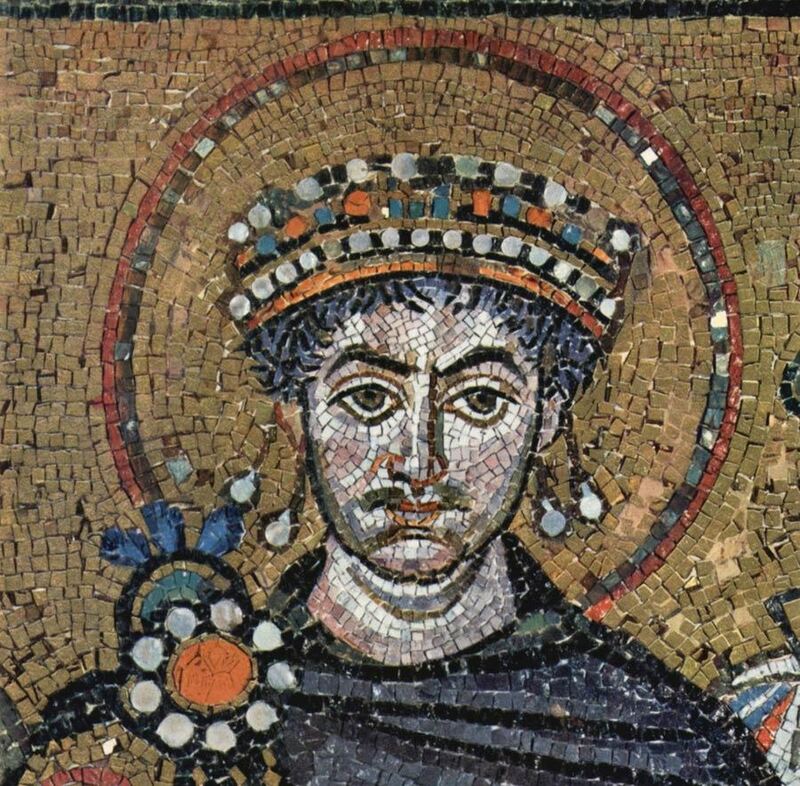 Justinian's rule was not universally popular; early in his reign he nearly lost his throne during the Nika riots, and a conspiracy against the emperor's life by dissatisfied businessmen was discovered as late as 562. When he died on 14 November 565, he left no children, though his wife Theodora had given birth to a stillborn son several years into his reign. He was succeeded by Justin II, who was the son of his sister Vigilantia and married to Sophia, the niece of Empress Theodora.